These rocking chairs are very comfortable. The Rear Balcony overlooks the pool, so this is a great place for the adults to relax while still keeping an eye on the kids. Maintenance Free Vinyl Handrails across the balcony are clean and durable. 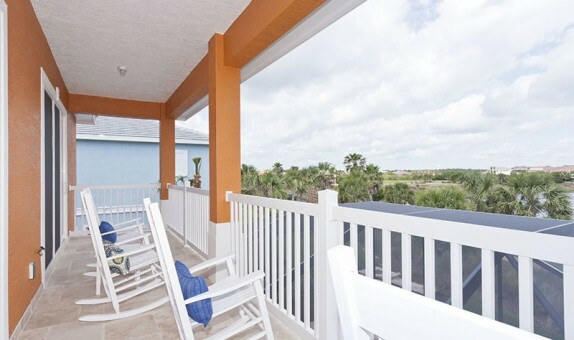 Being a North facing balcony along with the Ocean Breeze it always stays nice and cool.